So when my other half let me choose some things from Boots as part of my Christmas gift I thought I'd take the opportunity to snap up something to help me along the way. 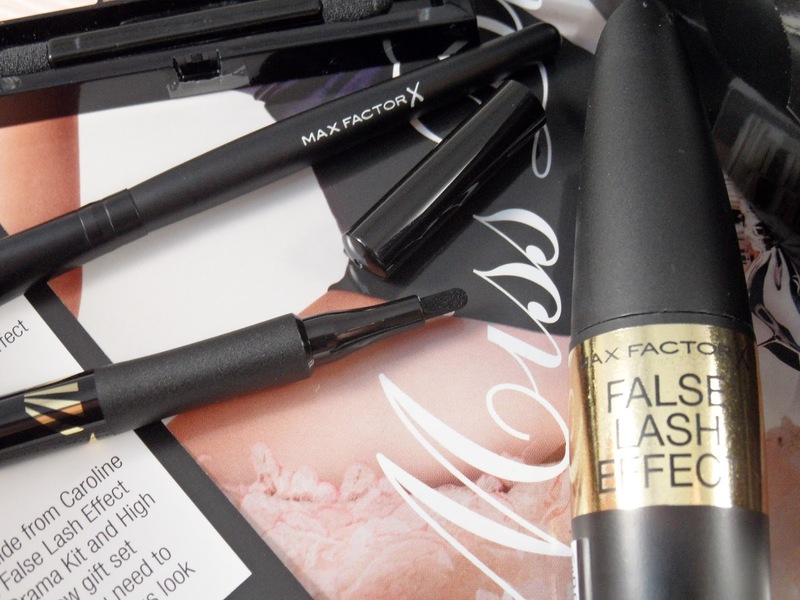 The Touch of Drama Smokey Eye Kit by Max Factor seems to be built for dummies eyeshadow newbies like me and I LIKE IT! 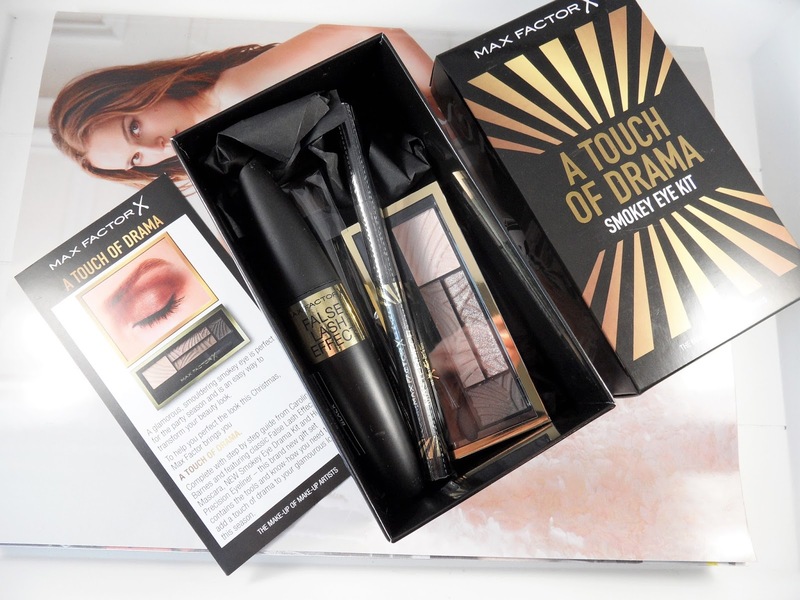 Max Factor is a brand I've really not given much attention to in the past, with contents apparently worth over £37 all matched up in a cute little gift box for a rather healthier £20 price tag this kit looks to be a great investment or the perfect gift for all make up lovers. 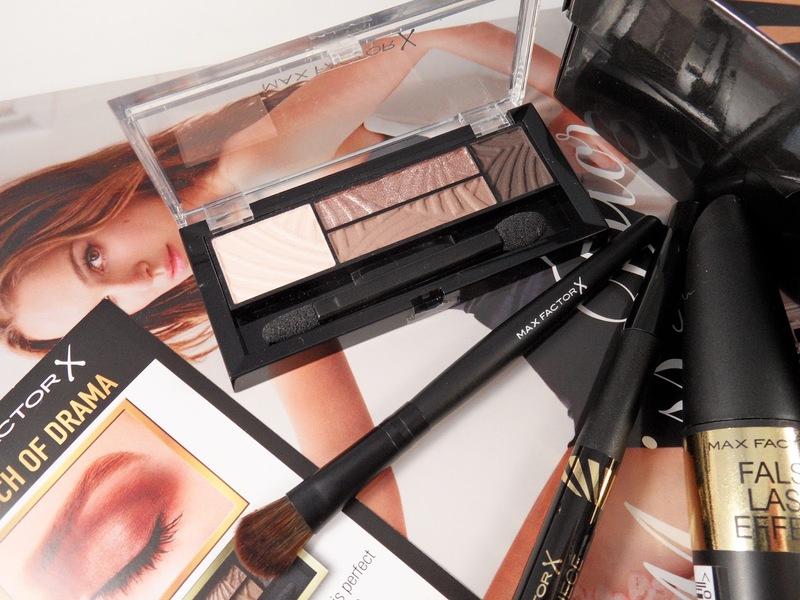 Included in the smokey eye kit we have step by step instructions from make-up artist Caroline Barnes, Max Factors best selling False Lash Effect Mascara, the Masterpiece High Precision Liquid Eyeliner, the Smokey Eye Drama Kit in Opulent Nudes and a limited edition brush. Now, step by step instructions rock my world, of course we all have different shaped eyes etc but damn, I need someone to help me with the never-ending confusion of what goes where on the lid and the limited edition blending brush included is super soft and a perfect size to pop into my handbag. The Masterpiece High Precision Liquid Eyeliner is completely different to anything I've ever used before but I'm currently really enjoying it. The nib is stiff and a really unusual shape. It's slightly scratchy as it's so stiff but it makes winged liner a lot easier than many pen style liners I've used in the past. So far the only item I've not tried yet (although I probably should have done so before posting this, eh? Great forward thinking there, Gillian) is the False Lash Effect Mascara. I have at least 6 mascaras on rotation at the moment so I didn't want to open another just yet but I do have high hopes for this one. This kit was a great find for me and I think I'm getting there on the eyeshadow front, I don't think I look like I've been hit in the face with a fish now when I attempt to do eyeshadow but sure, it's all about practice, isn't it?! 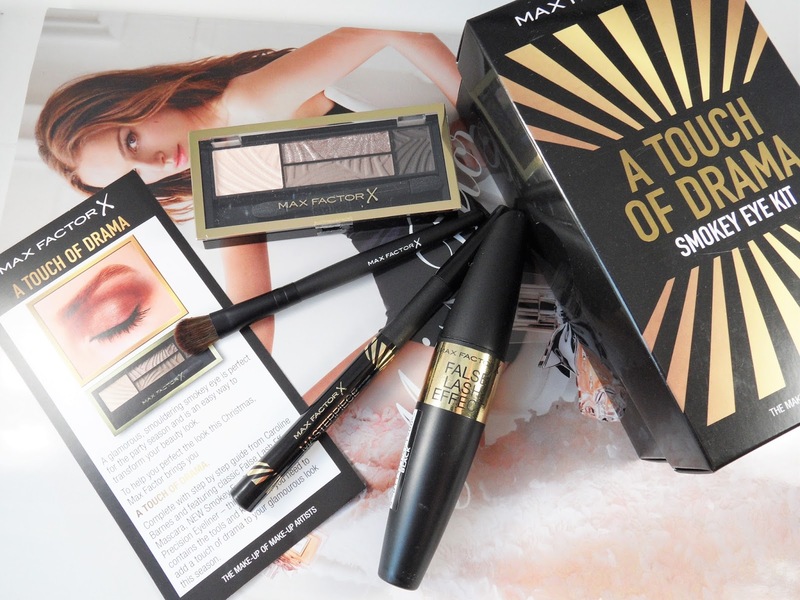 The Max Factor Touch Of Drama Smokey Eye Gift Set is currently exclusive to Boots and I would recommend it to anyone looking to get to grips with eyeshadow or even if you just want to test out the eyeliner/ mascara. I don't believe the contents would be worth £37 but it's certainly a bargain for £20. Even better, at the time I bought this, Max Factor/ Boots had a promo on that if you spent over £15 then you also received a box of 4 other full size products (here). Now this promo is currently not running so don't shout at me but this item is certainly one to add to your wishlist and purchase next time an offer like that appears. Are you an eyeshadow pro? False Lash Effect is one of my fave mascaras ever! The palette looks really lovely too!